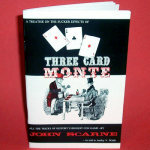 Variation of the classic Three Card Monte trick- with deluxe cards! 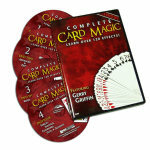 A customer favorite- in a deluxe LIMITED EDITION! 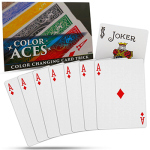 A classic "con artist" game, this time with a great twist ending! 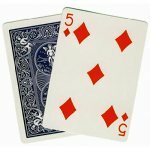 You show your spectator three cards- one with a blue diamond and the other two with red diamonds. 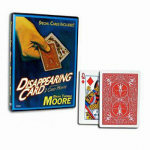 All your spectator has to do is find the card with the blue diamond. If he finds it, he wins a dollar. If he's wrong, he loses a dollar. Before long, he has lost seven dollars! 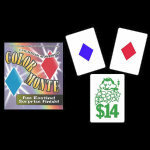 For double or nothing, the spectator is shown one blue diamond card and one red diamond card, and asked to guess the color of the diamond on the third card. Of course the spectator guesses it is red, and of course he is wrong- it is not red OR blue! 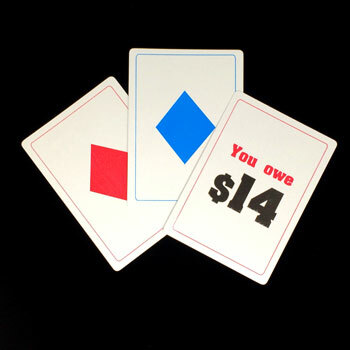 The third card simply says "You owe $14"! 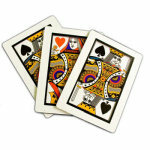 This set is a LIMITED EDITION of these specially printed cards! The cardstock has a wonderful finish. The diamonds are ink silkscreen printed, rather than foil printed, so they will hold up better. 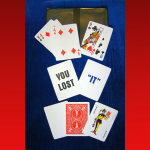 And the kicker card at the end is easier to read than the standard green foiled card that usually comes with this trick. 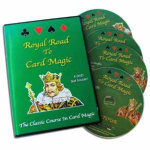 Like this trick, but prefer instructions on DVD? 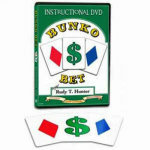 We carry a very similar trick, Bunko Bet, that comes with DVD instruction. 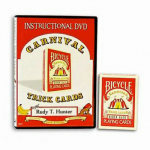 Also, Carnival Cards with DVD is an assortment of gimmicked cards, including the cards to do the Color Monte trick, and it comes with instructions on DVD. You will need to know how to do a DOUBLE LIFT. 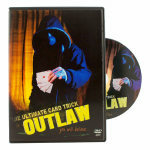 To learn this necessary move, please see the books and DVDs recommended below.